via Soldier Systems - HSP announced four new products today: The D3 Sling, D3 FlatPack, Incog Shadow and MP2 Rifle Mag Inserts. The announcement was also accompanied with a slick catalog, great photography and much fanfare. 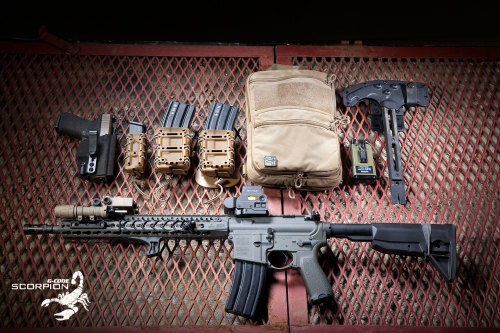 Similar to the popular MS2 and MS3 slings that Haley developed during his time at Magpul, this sling is designed to transition from two point to single point in moments. It attaches via QD-swivels, which have become the standard for sling attachment over the past few years. Unlike the old Magpul slings, the D3 sling features what looks to be a pretty cozy layer of padding, which is important when actually employing the sling over long periods of time. Looks good to me...I've used a half dozen different slings at this point and haven't found one that I love. This one could be a winner. I actually had some brief hands-on time with the FlatPack during a visit to the HSP showroom last month - they've had a prototype on display there for a little while. It's pretty small and, being made of 500D Cordura, quite lightweight - the HSP catalog has it weighing in at a mere 16 ounces. The FlatPack will integrate with the D3CR chest rigs or any PALS/MOLLE surface big enough (plate carrier or backpack, for example). And, as you can see in the pictures, it can grow from a slim hydro carrier (HSP says a 1L bladder - so very low profile) into something with a bit more cargo space - the main compartment grows from 200 cubic inches to 600 cubic inches, and the lower admin pouch will expand from 50 to 100 cubic inches. That's a pretty cool feature for a carrier mounted pack - most of the time, you'll just have water and some basics, but you can expand the pack out to carry more if needed. HSP claims it'll fit a helmet or one of their chest rigs, fully loaded. The shoulder straps are lightweight and not ideal for carrying heavy loads, but the limited capacity kind of precludes carrying 50 pounds of stuff in this little pack. Design is subdued enough to be discrete out and about, too. A light bearing version of the popular Incog holster, which is my current go-to when I wanna IWB my Glock 17. 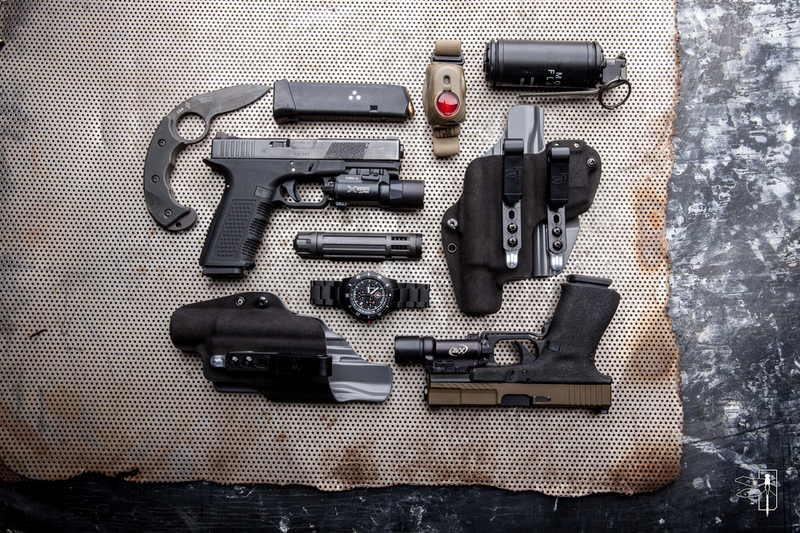 An excellent choice if you need to conceal a pistol with weapons light. When I bought my D3CR, I'd read somewhere that ESSTAC's KYWI - kydex wedge inserts - would work in them, allow me to ditch the annoying bungee retention and run open top w/ kydex, as is my personal preference. Unfortunately, that turned out to not be the case - they most definitely did not fit well. 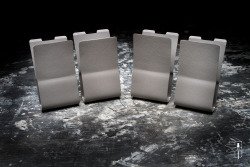 The MP2 inserts look to resolve the problem for not only the D3CR, but a host of other mag pouches as well - HSP lists Tactical Tailor, LBT, Mayflower, First Spear and others. The MP2s also look like they're a bit more refined and nicely finished than the DIY look of the KYWIs. Count me in for at least four...of HSPs new products, I'm most excited about these. So - any thoughts? If T-Blog was going to pick up one of these products for review, which would you vote for?